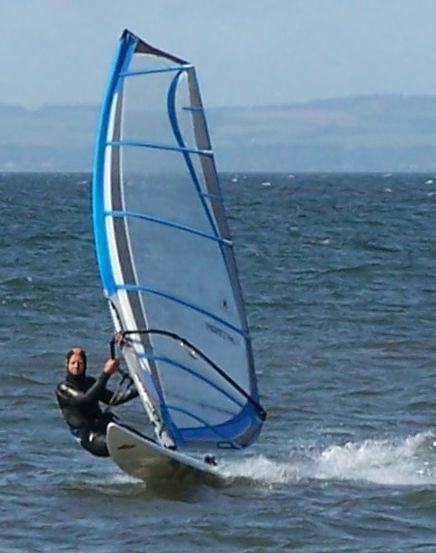 I live in Edinburgh, and am a keen windsurfer. You will often find me at Gullane or Longniddry, when the wind is strong. I started windsurfing in 1986 on holiday in Greece. I am interested in most areas of science. I have an understanding of mathematics and quantitative arguments. For many years I read New Scientist, but have become tired of their formulaic journalism and immature politics. I recommend Chemistry World and Science News. I like tuneful music and play piano and recorder. I have 25 years experience of computing, including writing compilers, assemblers, operating systems, communications, hardware testing, and problem fixing. I have a limited knowledge of the Italian language, which has greatly contributed to my appreciation of Italian opera, and my enjoyment of foreign holidays. When there is not enough wind for windsurfing, I enjoy walking on the Scottish hills and elsewhere - see photo gallery. I also enjoy skiing. It is a wonderful feeling to experience mountain air and scenery. The variety of scenery in Scotland makes this a wonderful place to live. Recent holidays have included windsurfing holidays in Tenerife, Naxos and Cape Verde. This website is hand crafted. It is designed to work well with an 800 x 600 screen, and a dial-up connection. Photographs are provided in different sizes, so they do not take long to load. 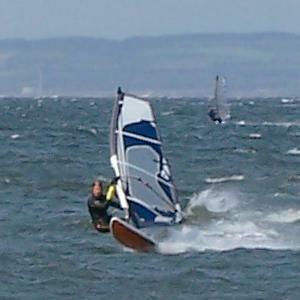 For links to other information about windsurfing around Scotland, please see my windsurfing links page. If you found this interesting, or require any further information, you can contact me via my Contact Page.